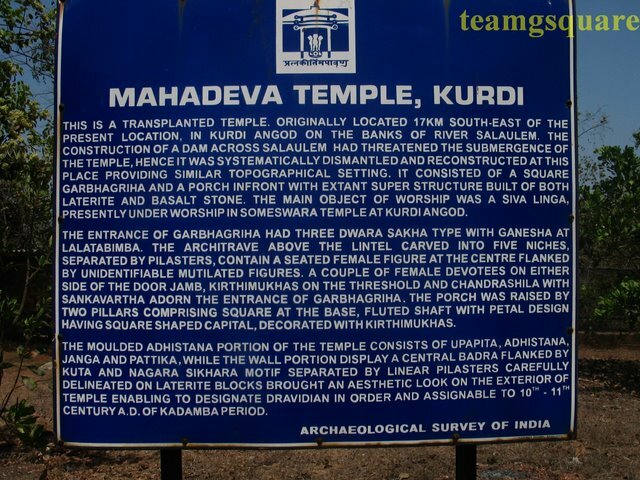 As we were heading towards the site of "Usgalimal Rock carvings" in Goa, we saw a Dept.of Tourism Board directing us towards a 1000 year old temple of Mahadeva in "Kurdi". We tried locating this place on our map but in vain. After a long search, we found a name 'Curti' on the map and guessed it could be a name given to Kurdi by the locals. Since previous day we had a similar confusion about the names of Forts Alorna and Aldona, and thought them to be the same ( which we found later to be two different forts) and applying the same logic here, realised this could be our destination! and decided to give it a shot. After a few inquiries, we reached this place . Lucky we . 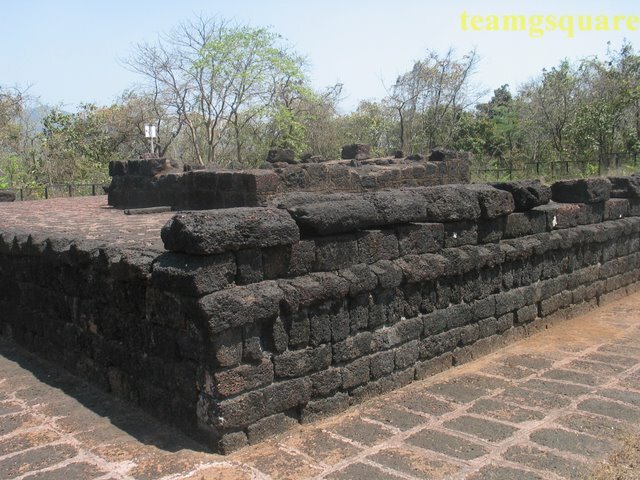 It turned out be an unique temple built with laterite stone. The ASI has done a good job in restoring and maintaining this temple. At the entrance is a board giving details about the temple and its history. 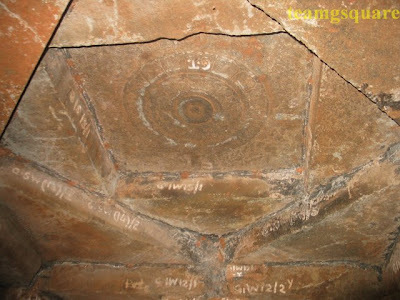 As per the information given by the ASI, it is known to have been moved from its original location to the current one. The temple was originally located about 17 km from its current position, in Kurdi Angod on the banks of the river Salaulem. 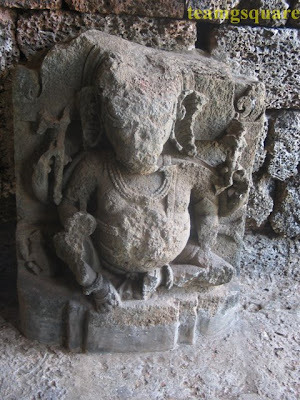 The board further says that " The construction of a dam across the river had threatened the submergence of the Temple and hence it was systematically dismantled and reconstructed at this place providing similar topographical setting. 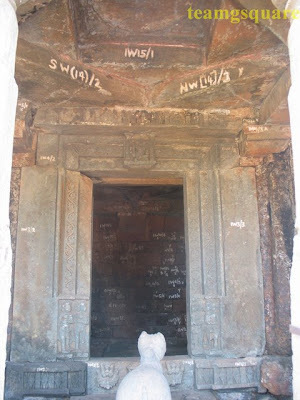 This temple consisted of a square garbhagriha and porch in the front and the main idol is presently under worship in Someswara temple at Kurdi Angod." 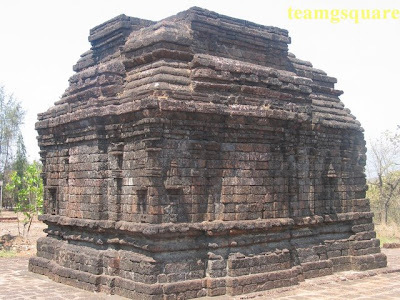 This temple was built by the Kadambas during the 10th Century. We could not find a single soul around the temple, though we spotted a small house inside the temple compound which probably belonged to the care taker of this place. 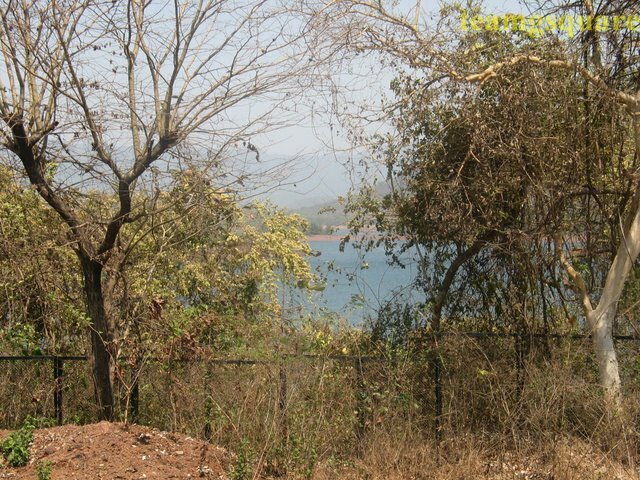 Places to Visit around: Rivona, Usgalimal, Surla, Canacona, Margao and many more. Another great and interesting tour! Your posts not only have wonderful photos, but such wonderful history! Hope your week is going well! Thanks for sharing another great place from India. Strange looking temple. 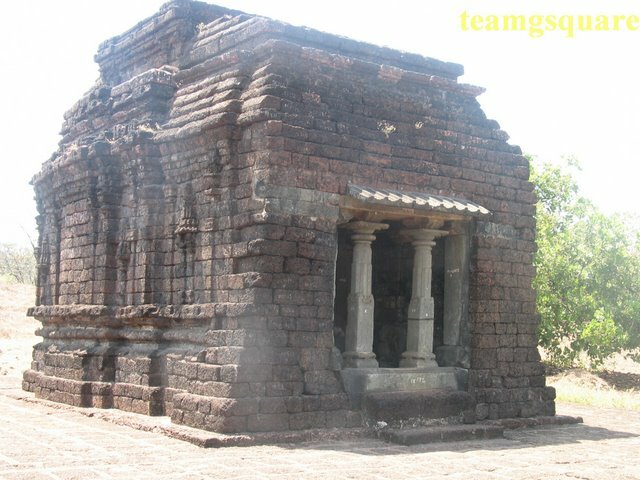 ASI did a good job by shifting the whole temple. We can still see its beauty. wonderful! i am amazed to see the kind of places u discover! and this is the second instance i have heard of temples being relocated! it must have taken so much effort! Very interesting find indeed.. 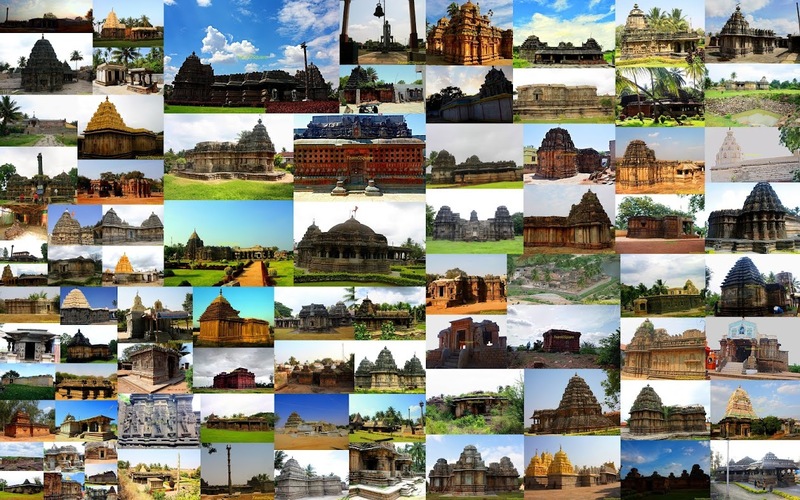 It looks that at some point of time there was one temple for each human in India ..(lol)! Looks quite a wonderful architectural place. that's very unique considering the fact that it was reconstructed! 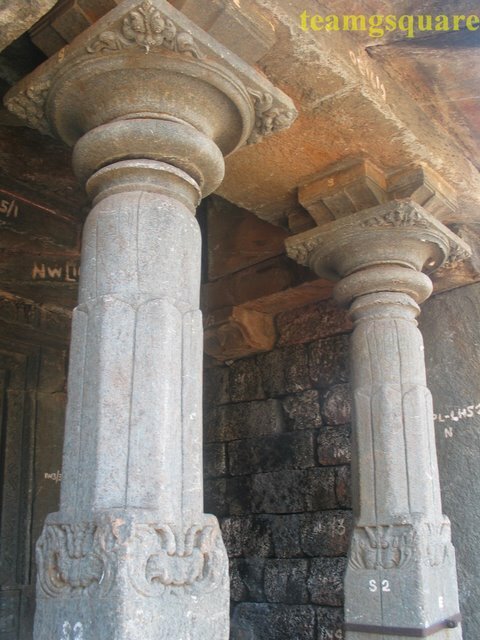 I must have been to Goa half a dozen times, and never heard of this temple. It looks amazing! Thanks so much for sharing. Never been to Goa but it really looks very beautiful, very nice pics ..
Nice post. Yeah there are so many small places of interest which aren't popular. Good that you found one. 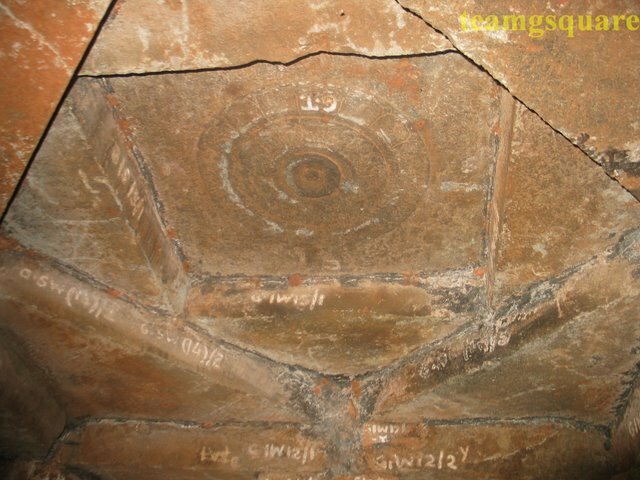 "We found a name 'Curti' on the map and guessed it could be a name given to Kurdi by the locals"
Goa belongs to the 'locals', so the names assigned by them hold priority over the Anglicized ones. I just wanted to point this out to your team, since it seems to annoy you. Apart from that it's great that you're exploring some of the lesser known aspects of Goa.